Is it just me or do bright Ray Bans like these look so good in the winter?! Granted I love my aviators all year round but on a sunny, snowy winter day, these look so pretty! I also added my favorite candles to this roundup because I burn these nonstop most especially when it's cold out! The best part is that you can use these pretty jars for other things (like Q-tips!) once you've burned it all. Keeping your feet warm helps keep the rest of your body warm and I always am wearing fuzzy socks no matter what! I recently bought these snow boots from Nordstrom because they're super comfy and cute too. I love cute boots and winter shoes, but nothing surpasses my favorite UGGs and Ugg slippers like these that are a little nicer and truthfully, they can be worn out and about too. Staying warm in the freezing months of winter and looking cute while doing it is important and fun to create looks with also! What's your favorite winter time fashion essential? I do not like the cold at all, so I am always layered up. I have on at least 4 layers at at given time. For me, fleece lined leggings are a must! I'll second Amelia's fleece lined leggings! Also, I pretty much live in fingerless gloves and a hat, even indoors in the winter. I absolutely LOVE everything on your list. Right now it is 7 degrees in Chicago and I need all of this. Especially those fancy candles and the adorable sweaters and hats! I totally love all of these, especially the coat. I used to love winter, until I moved to Omaha, and its crazy cold. I need a new winter coat, and I love those! I may just get one! I also need a new pair of gloves because I feel like mine are so kiddish lol. I love those leather gloves! They are absolutely beautiful! Great picks! The beanies are my fave!! aHHH YESSS TO THEH GLOVES! We have super cold and long winters here in Minnesota. I love that scarf! I just bought myself a new jacket this year and love it. A nice coat/jacket is a must in cold weather. My daughter is into scarves and picked up a few this year too. Great list! These are all wonderful winter outer wear I like the scarf...Stylish. I hate the cold! It's been fairly warm here in Tokyo with highs in the 50s, but this week, temperatures dropped and it's been a little colder. I love the texting gloves, the Ugg slippers, and the knit head wrap. Love the range of coats that you have on the post! They are all gorgeous! Those are definitely essential for the cold weather. Thanks for sharing! Coming from Iowa - i understand the cold hate! I Love Pea Coats... they are my kryponite! I am from Jersey but have lived in the South for more than 20 years. 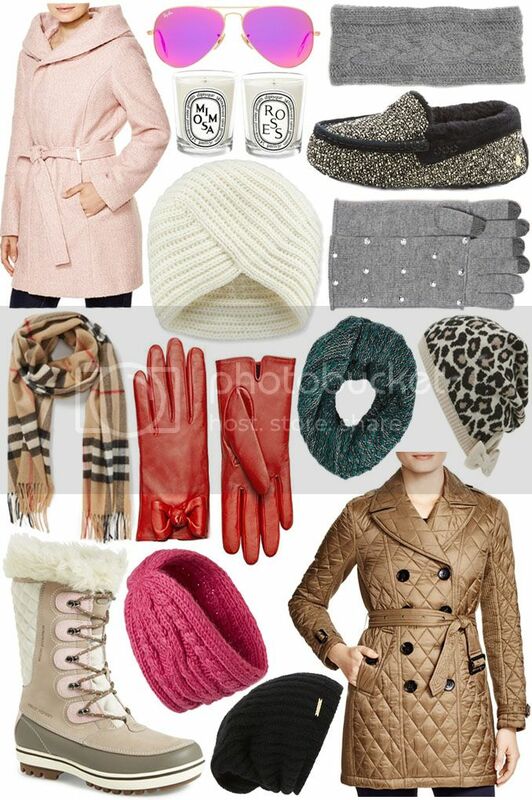 Layering is the key to staying warm and the essentials you listed are a great way to do it. These are really nice winter essentials. Living in Texas, it doesn't get that cold for very long so I don't have a lot of winter items. Winter is so here in NYC, this morning was especially brutal with the wind chills. I love aviators in the winter! Such pretty winter essentials. I could use a pair of those red gloves and those boots. Loving everything! I am so wishing we lived where we get a real winter, sadly FL doesn't get too cold and when it gets cold it doesn't last. Love the winter gear. Some is so cute! I love my beanie, peacoat, scarves, gloves and fleece lined leggings. Also my boots! Great picks! I just came back from a tropical vacation so weather in NYC feels especially cold. I need to warm up ASAP! 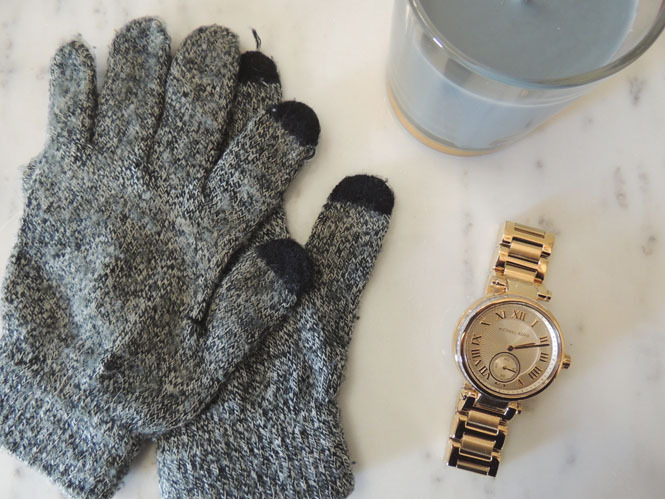 Thanks for sharing us your list of cold weather essentials. Found some items that interest me a lot. Oh! I really love some of those. Think I'm gonna have to pick up those snow boats! I could not choose one particular item I like because I love them all! They are sure going to keep me warm this winter! These are great finds. I love the pink coat and the red gloves. I hated winter for years until I realized that it could be fun as long as you had the right gear. There are so many cute accessories for winter! This makes me want to head north just so I can wear some of this stylish stuff. What a great round-up of fashionable goodies! I mostly wear dresses so warm tights and booties are my winter essentials. I love a comfortable legging and a big fluffy sweater when it's cold. I am not a huge fan of cold weather! I walk my dog Tucker at 7:30 in the morning- it's so cold! I really need to get my hands on a pair of nice gloves and a hat to match! If you're looking to stay really warm this winter, wool clothing is a great option. From jackets to skirts to socks to scarves, wool picks are easy to find and provide great insulation. Unlike cotton or down, breathable wool has the ability to keep you warm when wet. This product feature and all information is very good. thanks for sharing.